Indigenous peoples of the area and environmental organisations have spoken out against the ongoing destruction of the Amazon, but they have been met with silence and violence. The Venezuelan Episcopal Conference (CEV) has called on civil society to back indigenous peoples in the light of the environmental destruction of the Venezuelan Amazon. 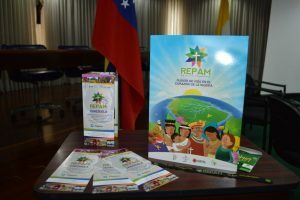 CEV has published The Venezuelan Amazon: the cry of the earth and the cry of the peoples call for answers, prepared by REPAM (the Pan-Amazon Ecclesial Network). The publication highlights that the economic model in Latin America and elsewhere “leads to unsustainable development, spiralling impoverishment, a strong dependence on a fluctuating market controlled by transnational corporations, as well as to an unprecedented weakening of national States which remain at the mercy of corporations”. Mining is part of this dominant economic model that “separates humanity from nature”, according to the publication. Indigenous peoples of the area and environmental organisations have spoken out against the ongoing destruction of the Amazon, but they have been met with silence and violence. At the press conference, Mgr Jose Angel Divasson, President of REPAM Venezuela, said that the indigenous peoples are affected by the increase in mining with the “looting” of natural resources in the Amazon, but this is just one problem that they face. He explained that he has witnessed “people dying of poisoning from mercury-contaminated water”. Mining cannot be the solution to the economic problems of Venezuela, he said. The geographer Hector Escandel, coordinator of REPAM in the community of Puerto Ayacucho, stated that mining cannot be part of a “predatory development model” which does not contribute to the welfare of citizens but leads to poverty and exclusion. 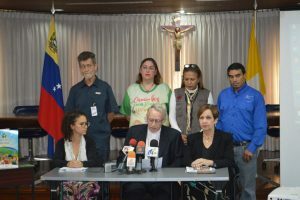 The bishops’ appeal has been supported by the National Council of Laity of Venezuela (CONALAI), the Venezuelan Association of Catholic Education (AVEC) and Caritas Venezuela, who state that given the seriousness of this situation, they join this denunciation as part of a “social commitment” and to raise awareness of the problems and consequences for all humanity. The church organisations involved take the position that all are called to be “custodians of this common home, to take care of it, to defend it for future generations”, and to commit to the people who live in the Amazon so that God’s kingdom of justice, love and peace becomes reality.